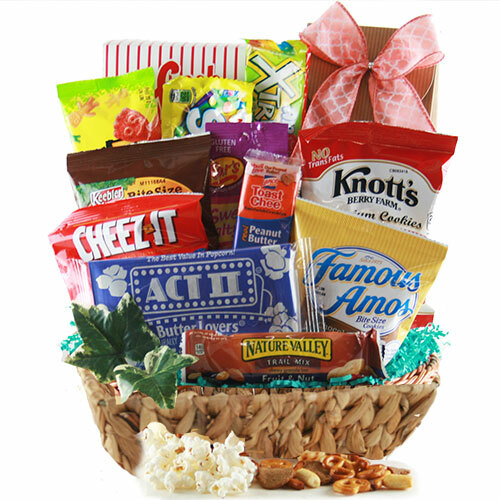 Got a Snack Food Junkie on your list? 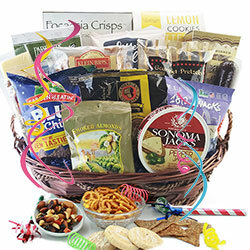 Need a snack party for a whole office? 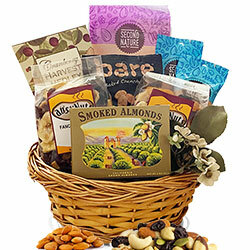 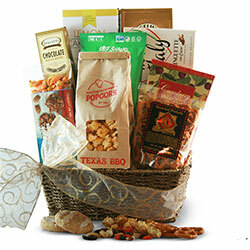 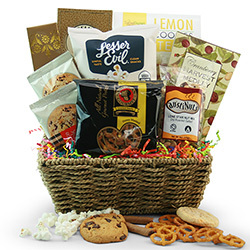 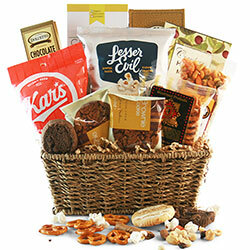 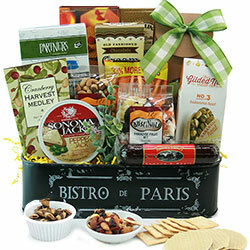 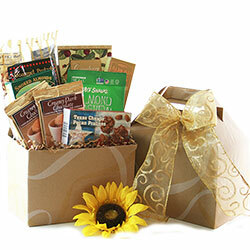 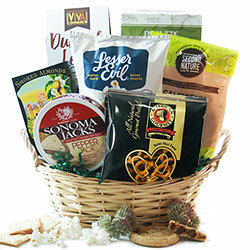 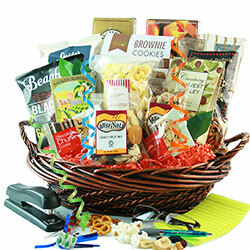 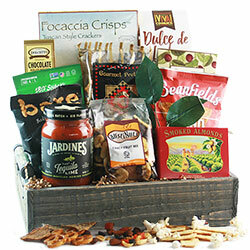 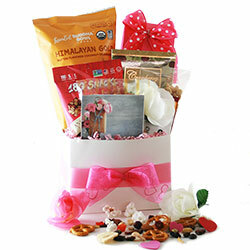 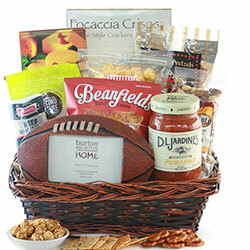 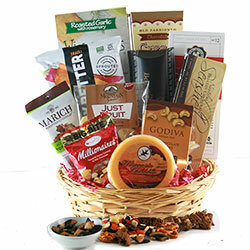 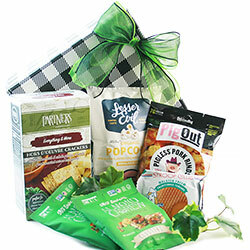 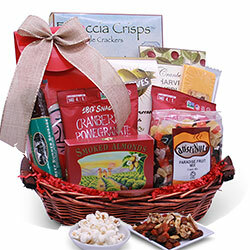 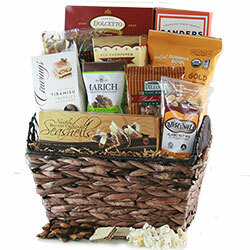 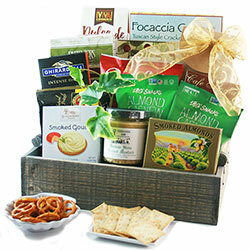 Our snack gift baskets are just the ticket! 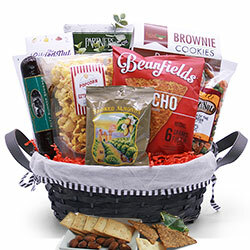 Featuring delicious chocolates and candies, scrumptious cookies, crackers, and confections, gourmet cheeses and sausage, and a variety of unique snack gifts and munchies! 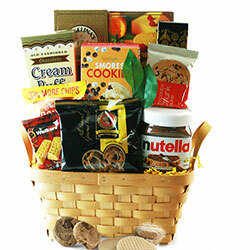 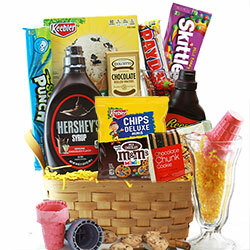 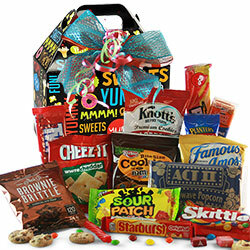 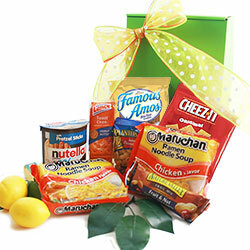 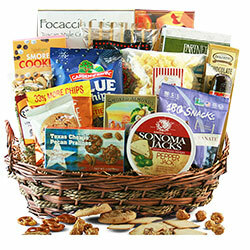 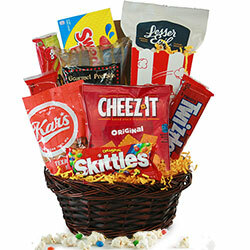 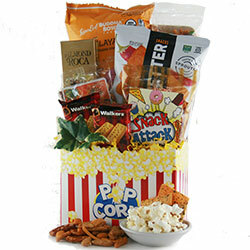 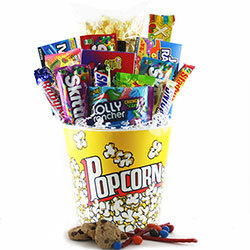 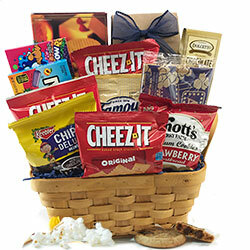 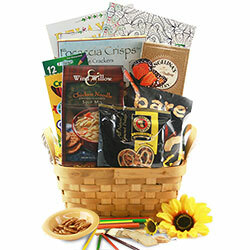 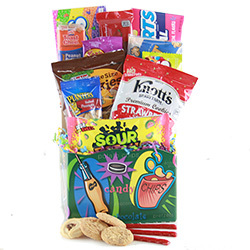 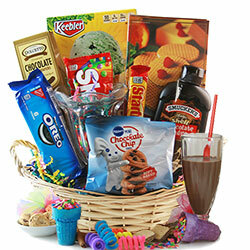 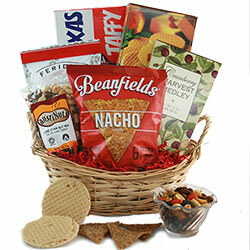 These snack food gift baskets are a snack waiting to happen!